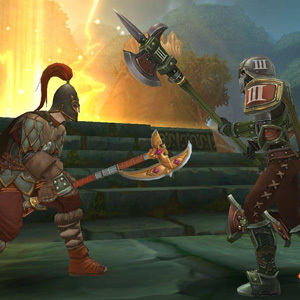 Allods online is a MMORPG in the category Fantasy role-playing, which you can play for free online. Since it is the role-play a client online game, you need, in addition to registration, a game software, called client download. This can be found on the homepage of the client games. Allods online puts you in the universe of Sarnaut, a world that is dominated by the struggle between the League and the Empire and the races belonging to the two factions. The first choice that you must therefore, in the game client is that of your group. Each group consists of three races. The league consists of the Kanians together the eleven and the Gibberlings, while members of Xadaganians that Arisen and the Orcs of the empire. Overall, the role-playing game with eight selectable classes, but not every race can learn any class. The world of online Allods consists of the Astral, which called the fragments of the former planet Sarnaut, castles, driving. This can be achieved by Astral ships that glide on a regular basis through the huge room. Your level is high enough so you can in the game client and even such astral ship built that you can control and manning. The players on board can take on various tasks, such as the Navigator, the shooter or the mechanic. Cooperation is very important in this MMORPG. But not only the taxes of a ship called cohesion between the heroes who play together online, including the execution of the many quests can be accomplished hardly alone. More than 1500 tasks to be solved, which increase with increasing levels of difficulty and complexity. Easier it is on the other hand, if you team up with other players of online games in a group or in a raid and go out together. Emergence of this alliance, which you would like to continue to cultivate, so you can do this via the guild system of the client to do games. Many fantasy role-playing feature a job system that allows you can make and sell their own products. So this game client. Four trades and three gathering skills to choose from. The level limit for all occupations is currently at Level 400, but may over time can still be improved further. Another way to deal with something other than between the eternal war is, in a wild game Goblinball, a sport that was originally developed by the Orcs and enjoys great popularity. Two teams compete in this competition on the island against each other, one dressed in red and the other in blue. Goblinball is overcome also the only activity able to bridge the gap between the groups and have fun together. How many online games, we also funded this online game client including the sale of special in-game items that can only be purchased for real money. For this you need your gPotato account with money charge. Then you can visit the inside of the game „Allods Boutique“ and miss your character a new look with fashionable clothes or get him a larger bag. For all products of boutique is, however, that they will not file and make the game play may indeed, but not significantly, in order to grab a seat at the front of the ladder.